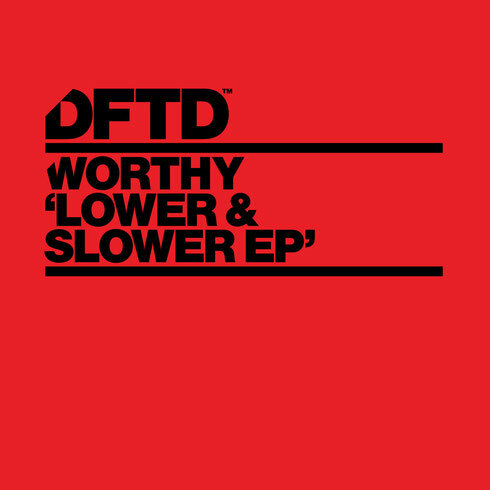 Label head of Anabatic Records and one of the four original members of the Dirtybird Crew, Worthy is a reputable tech house DJ and producer who now makes his DFTD debut with the ‘Lower & Slower EP’. A low slung, sleazy ghetto tech cut, the title track embodies both the balance of seriousness and fun that embodies so many of Worthy’s productions to date, and is a decent addition to his musical canon. ‘This Time’ is equally as good, driving another seedy bassline through echoing vocal shots and incorporating a euphoric breakdown.